Chances are, if you’re visiting our website dedicated entirely to hair loss and hair restoration, you’ve probably experienced some of the devastating effects that hair loss can have on a person – a loss of confidence, being treated unfairly because of the way you look or simply not feeling like yourself. If this is the case, it is absolutely appropriate to schedule a consultation with a hair loss specialist like Drs. Lieberman & Parikh, to see if you are a good candidate for a hair transplant. And, if not, what other procedures and hair-growth options could be available to you. Have You Considered Nonsurgical Options? At Lieberman & Parikh Center for Hair Restoration, we make sure our patients are aware of all nonsurgical options available. Topical products such as Finasteride and Minoxidil, along with nutraceutical supplements and PRP therapy can provide robust results for some patients. Because of the efficacy of the nonsurgical hair growth products, we usually recommend them to our patients who go forward with a hair transplant. Age and the stage of hair loss are the next most important factors physicians consider when assessing potential hair transplant patients. Before a person reaches 18 years old, it is very hard to know if their hair pattern has fully developed or if they have immature hair loss that will eventually grow in. A hair transplant could cause awkward hair patterns as their growth matures. 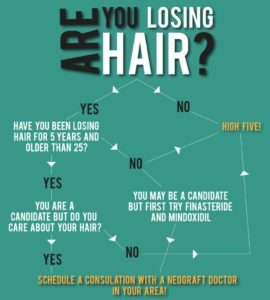 Your best bet is to find out if you are a good candidate for a hair restoration procedure, is to schedule a consultation with a board-certified hair specialist. At our practice in the San Francisco Bay Area, we offer free consultations to men and women interested in learning more about hair loss options.